While floor drains are an essential and necessary part of any sort of structure, there is still the potential for issues to arise. One major problem, in particular, that could cause problems are flies. Drains tend to provide the ideal home and breeding grounds for flies of all sizes, which is a cause for concern. Here are just a few of the reasons you find so many insects in drains and ways to not only eliminate the issue but also prevent it from happening again. Drains made from the wrong material or that are not adequately maintained can experience bacteria growth. Particularly, if they are in a food or beverage facility, where food waste may become stuck on the drainage channel. But, there is also the issue of how some drains are built, with a U-shaped bend known as a p-trap. This p-trap retains a small amount of water that is meant to help seal the drain pipe against the entry of sewage gasses. However, if a sufficient amount of wash-down water gets collected in the p-trap, and not enough is left to flush solid waste away, that solid waste can begin to decay. Which, in turn, will start to attract flies. There are many different kinds of flies, however, and each one is drawn to different types of drainage waste. 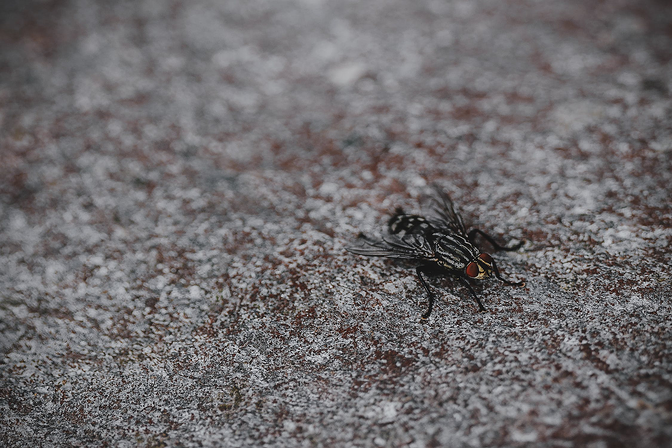 Pest flies, for example, are attracted to decaying materials. They are naturally drawn to the odors that are created by things such as decay and fermentation, which they find a good food source for larvae. But, there are also fruit flies, drain flies, and phorid flies, which can lay eggs in the biofilm produced by harmful bacteria that forms on drain surfaces. They require the decaying organic matter—particularly the yeast—to lay their eggs. Knowing what kind of flies you are dealing with will help you to know how to best remedy and prevent the issue from recurring. The best way to eliminate insects in drains is to do three major things. First, you want to improve on your sanitation. 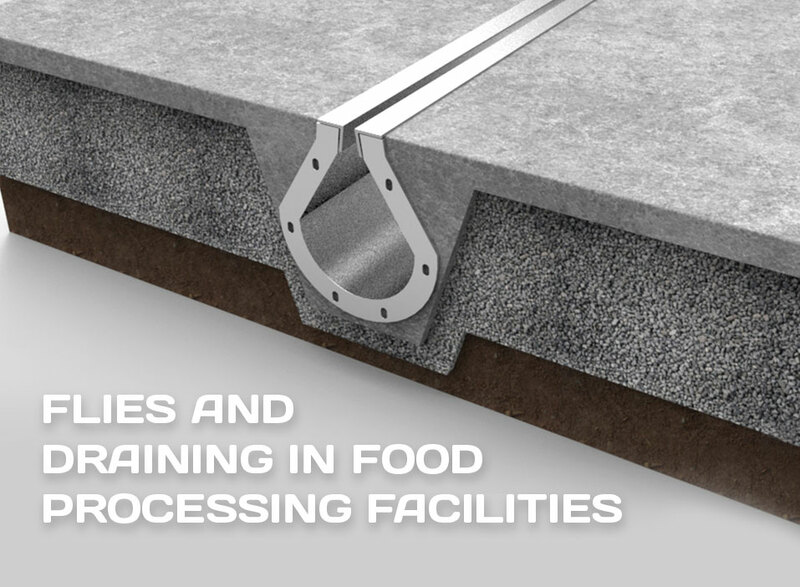 In food facilities, this includes improving the sanitation in food preparation and processing areas. By improving the sanitation in this area, you will significantly reduce the food waste lying around, which can begin to decay and attract all types of flies. Beyond improving the food preparation and processing practices and areas, cleaning is also an essential step in sanitation. You must ensure that the facility is cleaned thoroughly at the end of each day, to eliminate any potential food waste that remains. Secondly, it is critical that you improve the odor control of the facility. While improving on the sanitation will help eliminate feeding opportunities for flies, there is still the issue of the odors. Flies are attracted to certain scents, particularly those of food and decaying waste. To eliminate that issue, it is essential that you take the time to improve on your facility’s odor control. This includes doing things like installing better ventilation to help eliminate food odors. Finally, you must also eliminate all of the larval nesting materials. This may include calling a professional to help ensure that any larvae are terminated through special chemicals. From there, it is essential, to give your drains a thorough cleaning to ensure any possible remains are removed, eliminating the potential for a return of the flies. While making these changes are an excellent solution and preventative solution, there is always a potential for the problem to return. That is why it is essential to find long-term solutions to prevent it from happening again, or even at all. 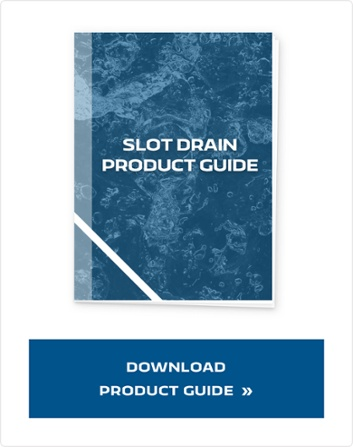 That long-term solution comes in the form of a new and modern drainage system, called the Slot Drain System. 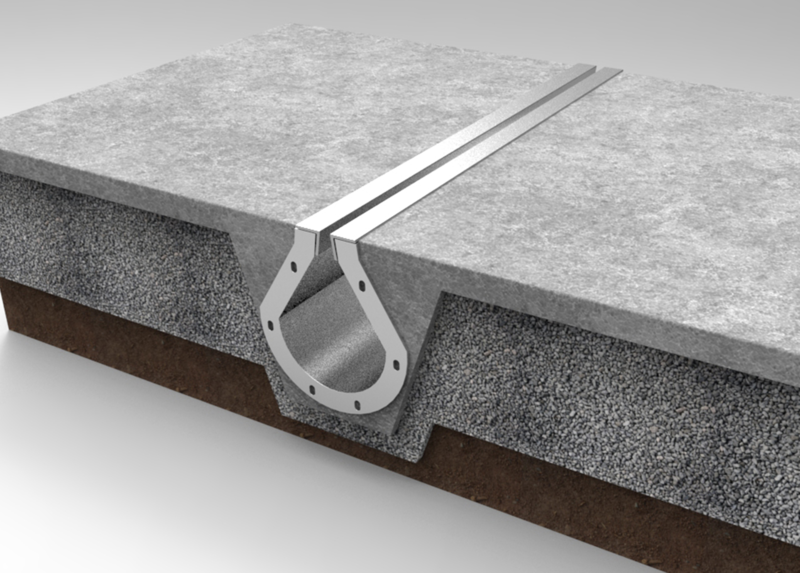 The Slot Drain System is a unique type of trench drain that has a specially designed channel, slim enough not to require a grate. This drainage system is designed using food-grade stainless steel which is resistant to both bacteria and corrosion, making it less likely to attract flies. Slot Drain is also much easier to clean, making it easier to maintain and keep odor free. Insects in drains are a significant issue in food facilities—bacteria residue in drains can attract flies and become a breeding ground. This creates an unsafe, unsanitary environment in the drains and in your facility, creating the possibility for product contamination. That is why it is critical that you have good facility and drainage practices implemented.